Our interaction yesterday was nothing more than usual, but I quickly realized as soon as she walked to the truck, her eyes dancing as usual, and she flashed that big bright smile, I smiled back. It was the first time I had smiled all day. It was a real one. Some days I think this world has gone to Hades in a hand basket. Other days I interact with beautiful souls and my faith in humanity is restored. I loathe Mondays. I know this comes as no surprise to you. I’ve mentioned that little tid bit, oh, maybe a gazillion times. Yesterday was no different. It was just awful from start to finish. There were dopplegangers of Mario Andretti on an interstate they clearly believed to be the Autobahn. Not a single thing went easily at work and don’t leave out adults behaving in a manner that clearly indicated they needed a return trip to Romper Room. But. In the midst of all of that insanity, there was one shining light. One beacon of hope. One shining star amidst the clouds. One ray of light into the darkness of what is Monday. That beautiful soul would be …my dry cleaner. Yep. My dry cleaner. I had to drop off some work clothes for Hass and there she was, that little bundle of energetic joy darting from spot to spot in the store like a hummingbird. She’s such a package of cuteness, I would guess mid 60s, maybe 5 ft at the most and very petite. She has jet black hair and dark eyes that dance anytime she speaks. Her clothes almost never match and her English is terrible. It took me months to understand her. She makes me happy. She calls me Birdsang. She gets it. She gets that it doesn’t take much in this great big world to be happy. It doesn’t take much to make someone smile. It doesn’t take much to make someone’s day. It’s a choice. She’s a bright spot in the world. She calls me Birdsang. Another bright spot for me in this world is Ina Garten. 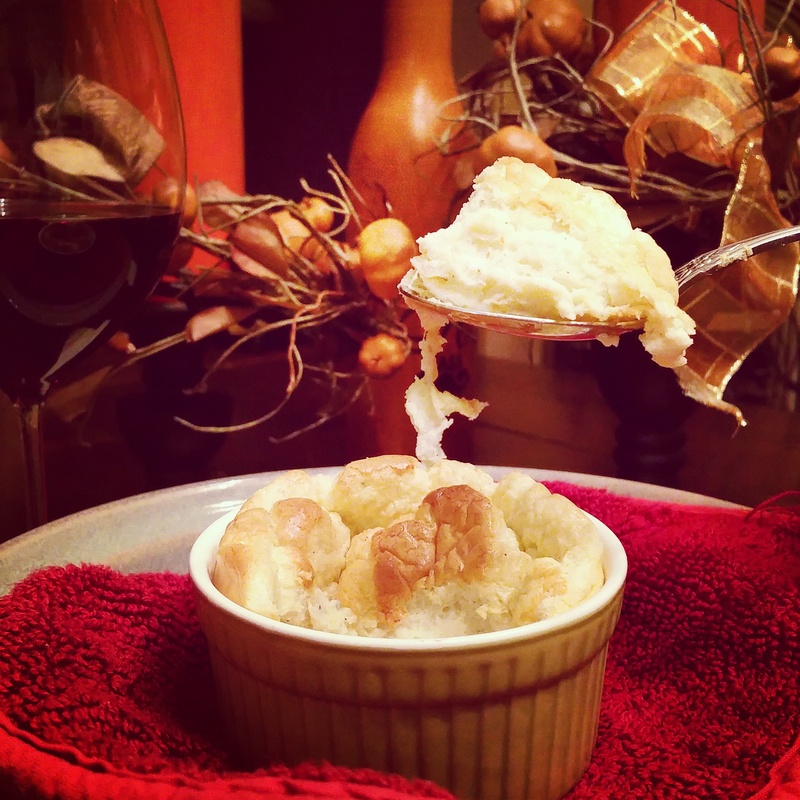 This recipe is inspired by her Blue Cheese Souffle. Mix sugar and spirit of your choice. Add figs. Soak figs for several hours or overnight. 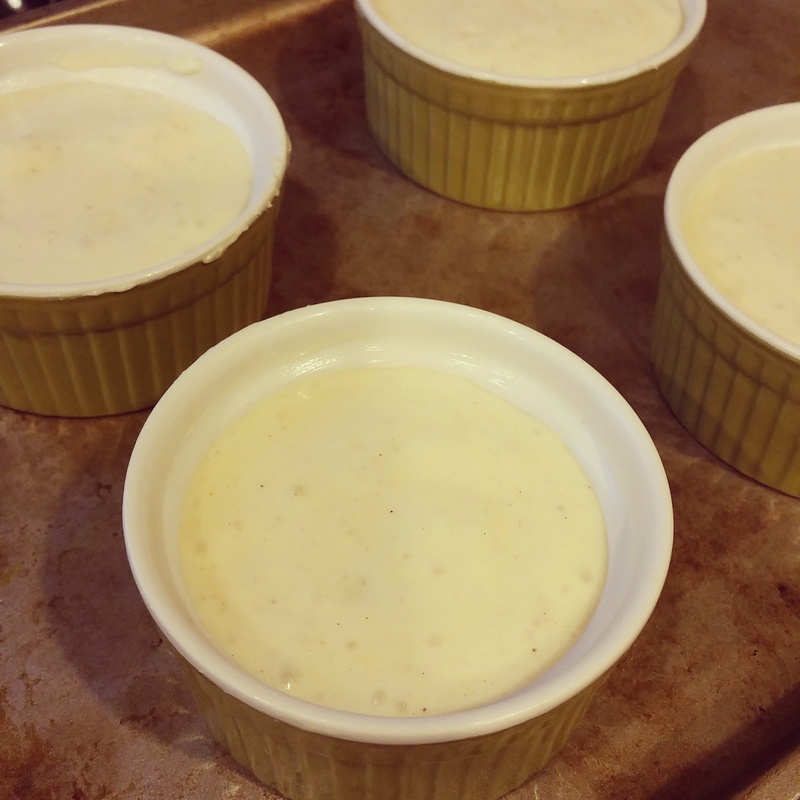 Preheat the oven to 400 degrees F. Butter the inside of 6 standard ramekin cups and sprinkle evenly with Parmesan cheese. Melt butter in a small saucepan over low heat. Whisk in flour and cook, stirring constantly, for 2 minutes. Remove from heat and whisk in hot milk, salt, pepper, cayenne, and nutmeg. Cook over low heat, whisking constantly, for 1 minute, until smooth and thick. Whisk in the egg yolks, one at a time. Stir in bleu cheese and remaining Parmesan, then transfer to a large mixing bowl. 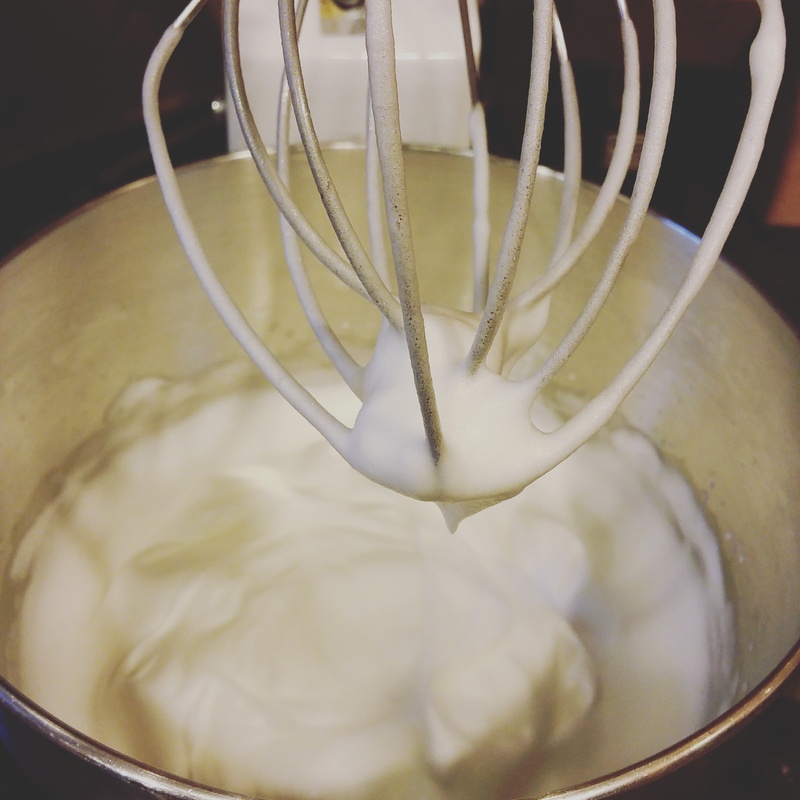 With an electric mixer, whisk egg white and Cream of Tartar until soft peaks form. 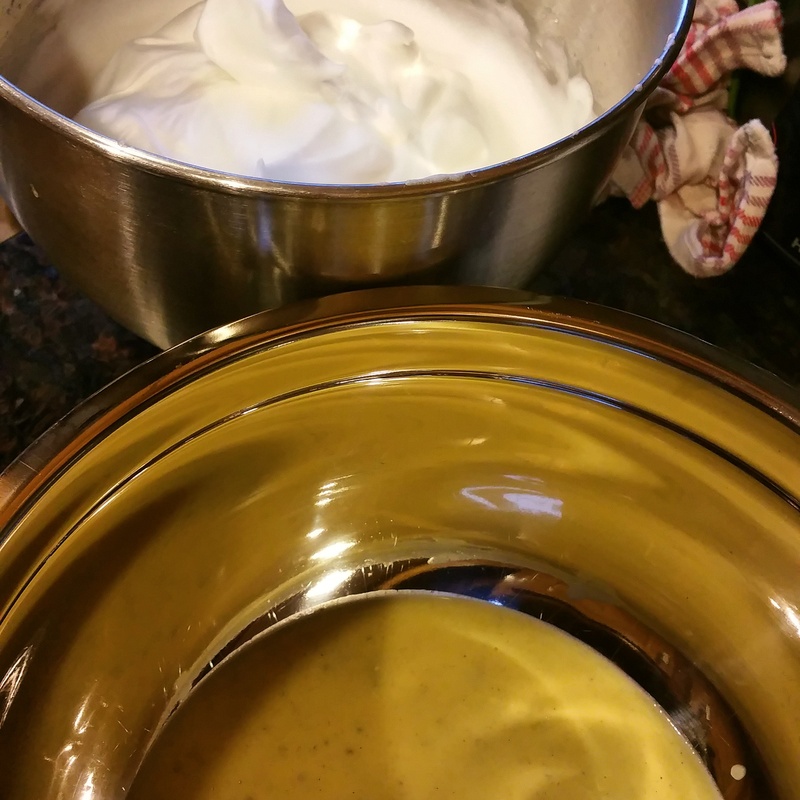 Whisk 1/4 of the egg whites into the cheese sauce to lighten and then fold in remaining whites. 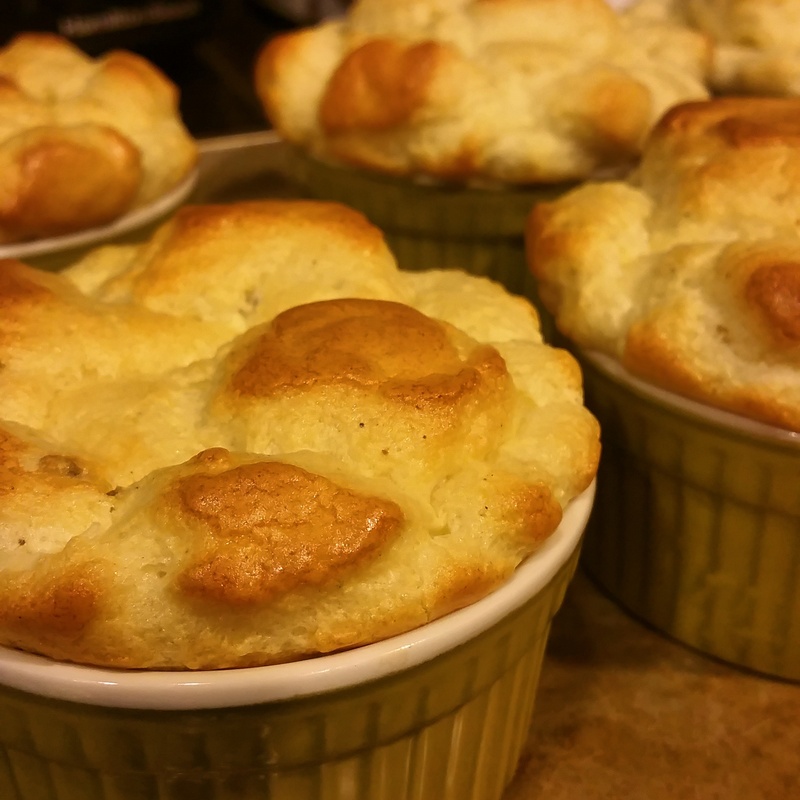 Fill ramekins with mixture. 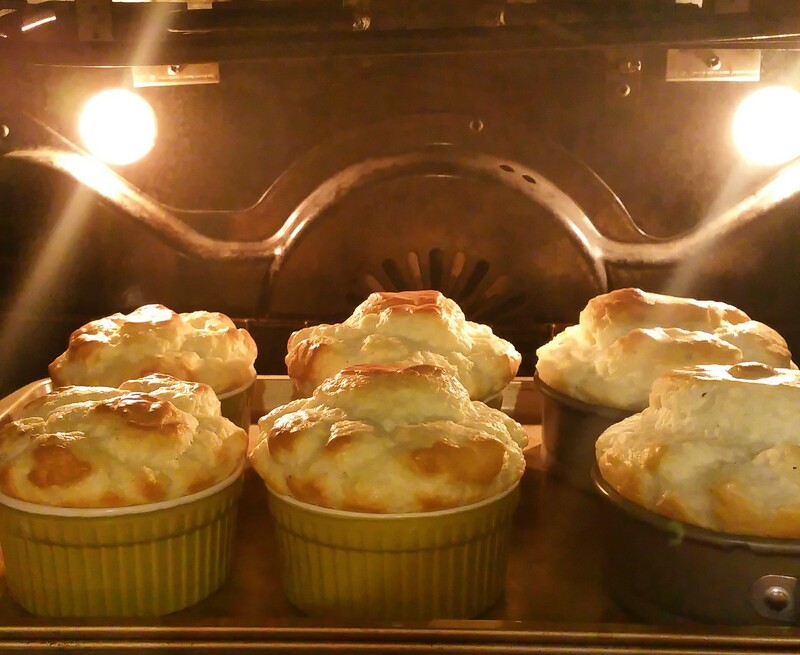 Lower oven temperature to 350 and bake for 25 to 30 minutes or until souffles are puffed and golden. 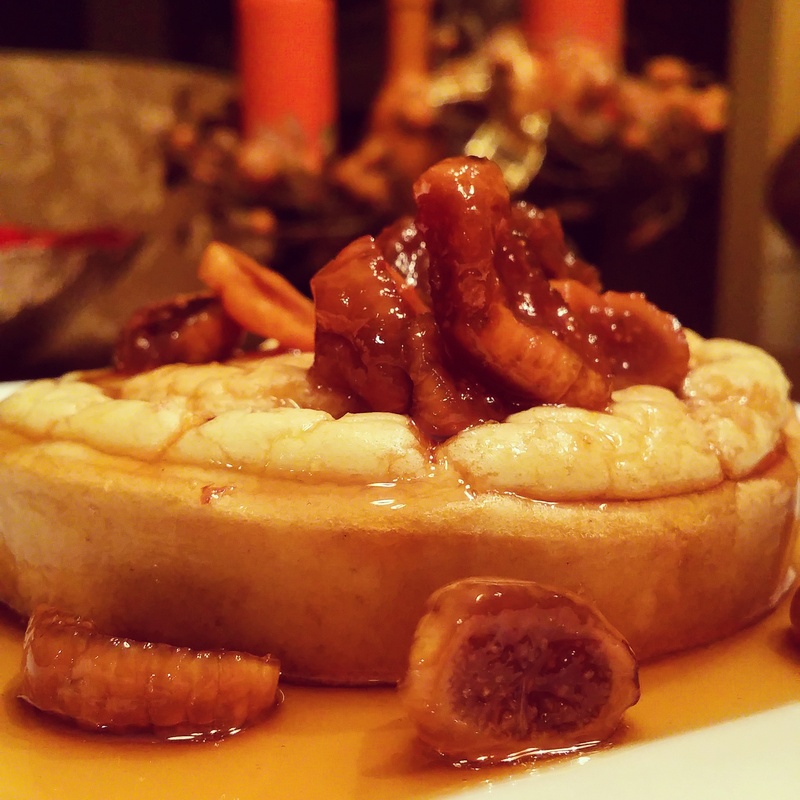 Serve with drunken figs and drizzle with honey. *NOTE: If you’re not a Bleu cheese fan, you can substitute Gruyere, Asiago or a good aged cheddar. 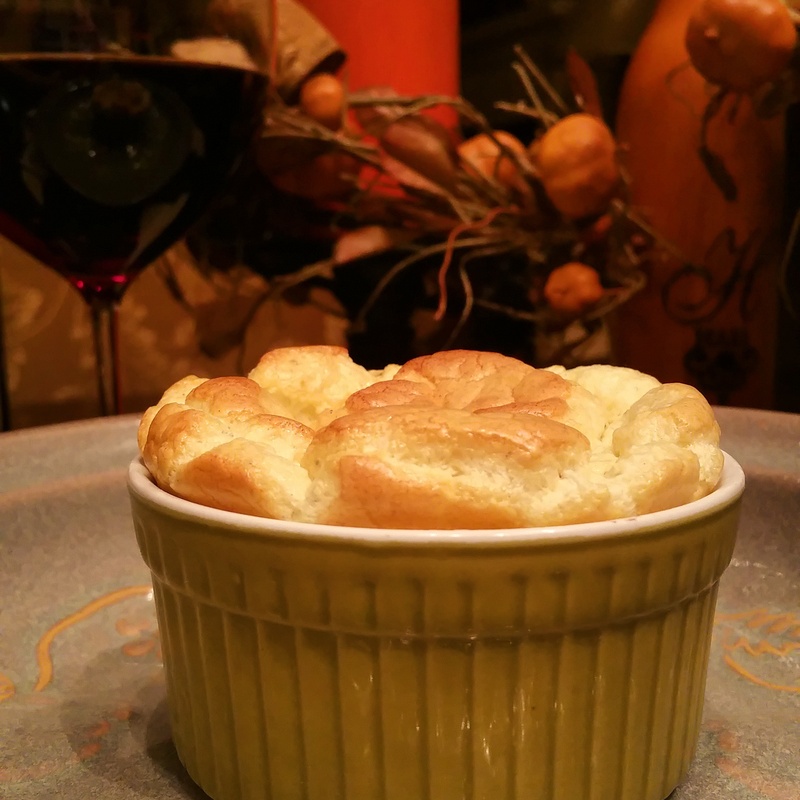 I paired this souffle with Troublemaker Red Blend. 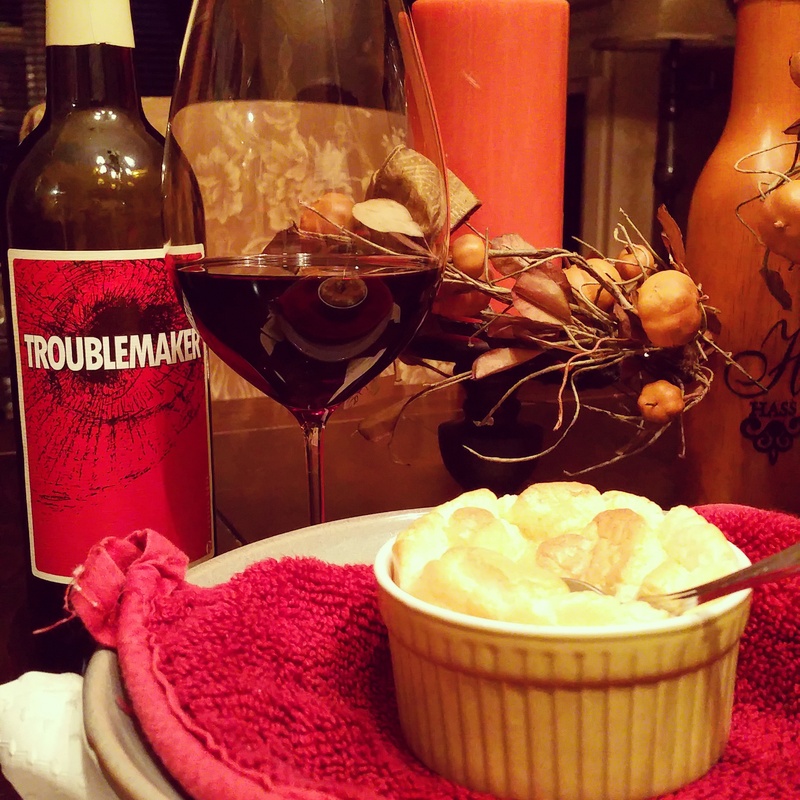 Inspired by varieties that flourish in Paso Robles and California’s Central Coast, Troublemaker is a truly distinct Paso blend consisting of Syrah, Grenache, Mourvedre, Petite Syrah and Zinfandel. With rich aromatics that display hints of smoke and violets, it paired nicely with the smoke of this bleu cheese.